Whether you live in the UK, or you're one of my readers from more distant shores, you can't have failed to notice the historically significant event which took place here this weekend, namely, this was the week when England and Wales (It's important to note that the rest of the UK didn't) voted to leave the EU. I'm not going to discuss politics here on the blog, it's far too frivolous a space for such debates, but needless to say I was glad to have a reprieve from the wall to wall TV footage of the UK political machine seemingly imploding in response, when Caroline invited me to meet her and Rachel for tea and cake at Love Brew cafe. Both are local bloggers and, it was really nice just to meet some new people and, to visit a lovely cafe that I'd not been to before. I booked the day off work especially, which was fortuitous because the weather turned out to be quite lovely anyway. My conversations with Caroline and Rachel have, so far, all been over Twitter, which just goes to show how social media can bring people together. 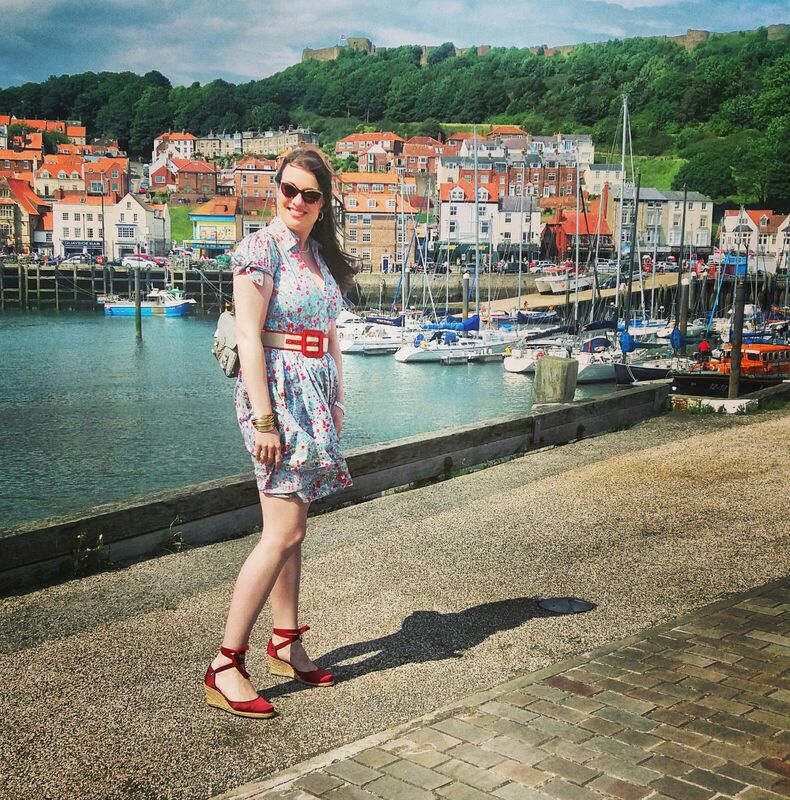 Much of our chatter over the delicious tea and scones centred on the local blogging scene, and that further afield to York and Leeds. It was a lovely couple of hours, although I totally failed to take any photos. 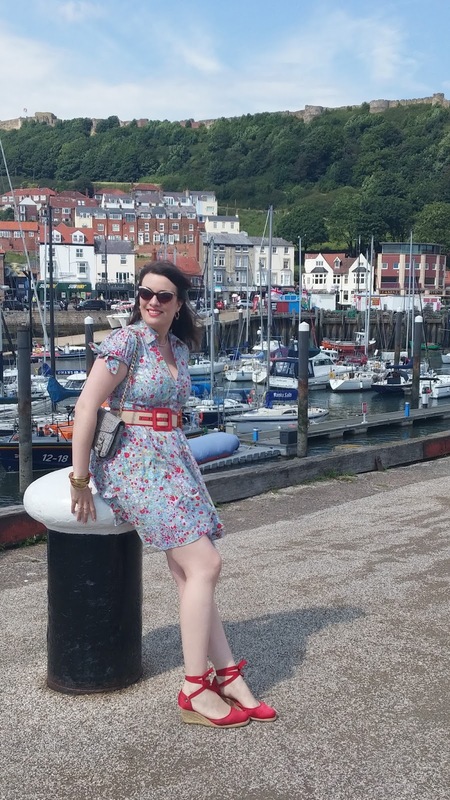 I'm such a bad blogger! Afterwards, I caught up with the Mr. at the seafront. We took a walk out to the lighthouse, thinking we might get some nice photos there, but alas the strong winds and my skirt didn't really mix. 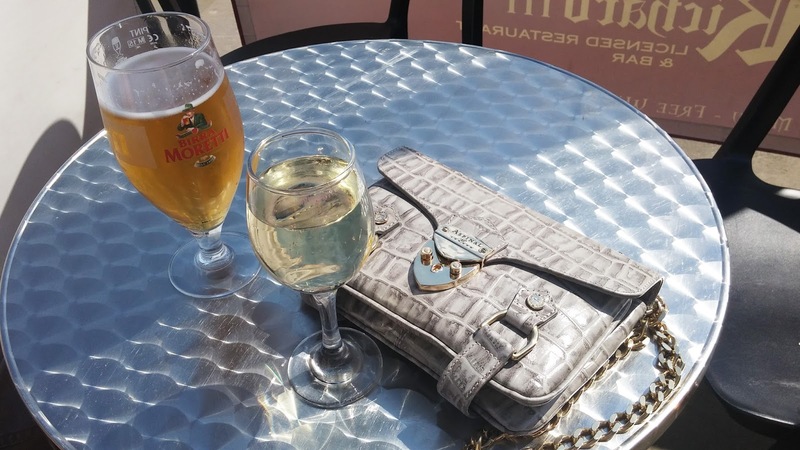 In the end, we just parked ourselves outside a bar on the seafront and enjoyed a glass of wine while we watched the world go by. All in all Friday was a lovely start to the weekend, albeit that it already seems like a distant memory. Have you ever met up with someone who you follow on social media, or read their blog? How did it go? I’ve been entering lots of competitions lately, trying to cram in a few each morning or evening on my commute in the hope that the volume means that I might start winning some. 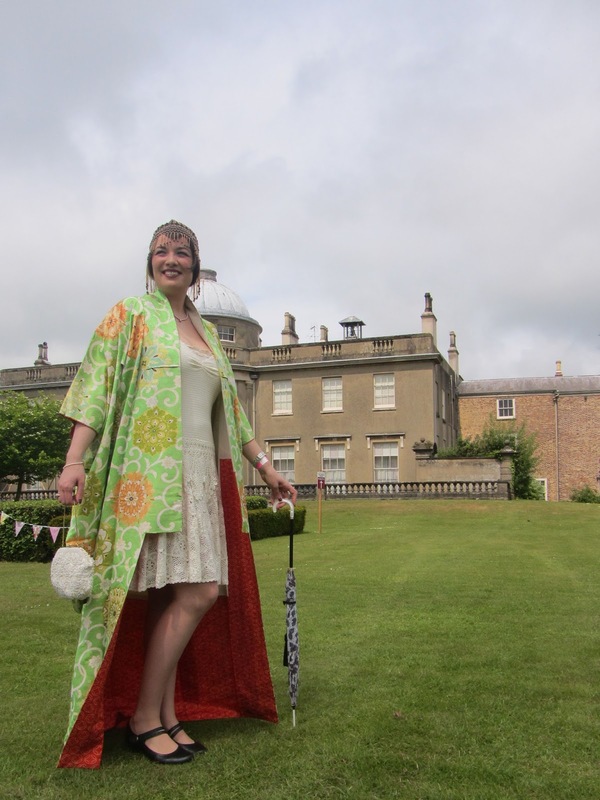 Earlier this month I was lucky enough to win tickets to last weekend’s Britain Does Vintage event at Scampston Hall, from Travel Jem’s blog. 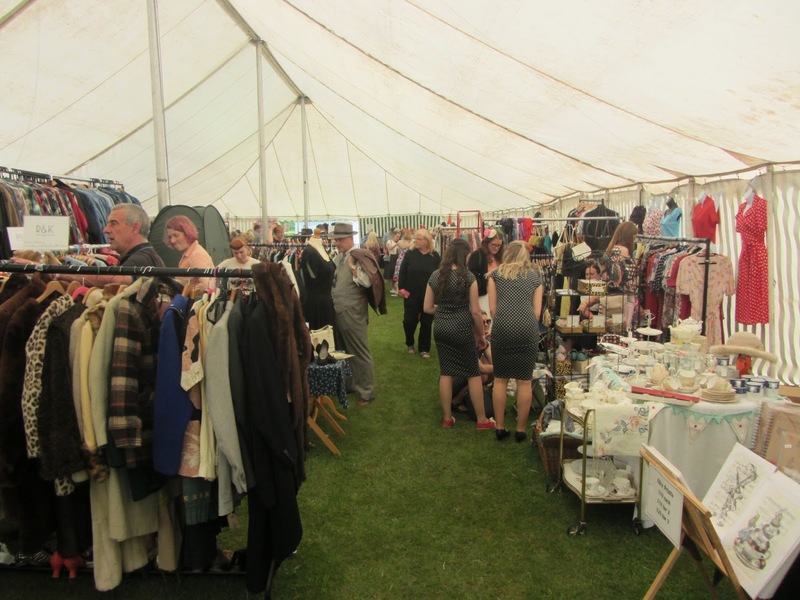 You’ve probably gathered by now that I’m quite appreciative of vintage in general, and so an event like this is right up my street, especially when it’s not that far from home. 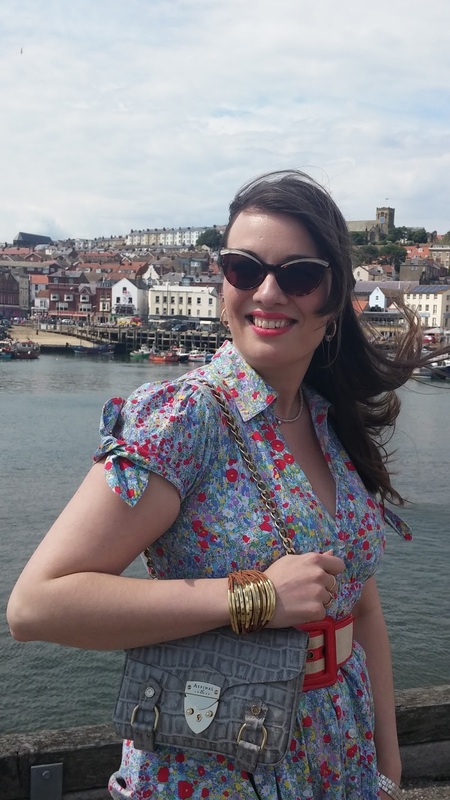 You’ve also, more than likely, gathered that I’m not a devotee of any one era either; nonetheless, usually when I go to events such as these I have a tendency to be in 1940s or 1950s dress. 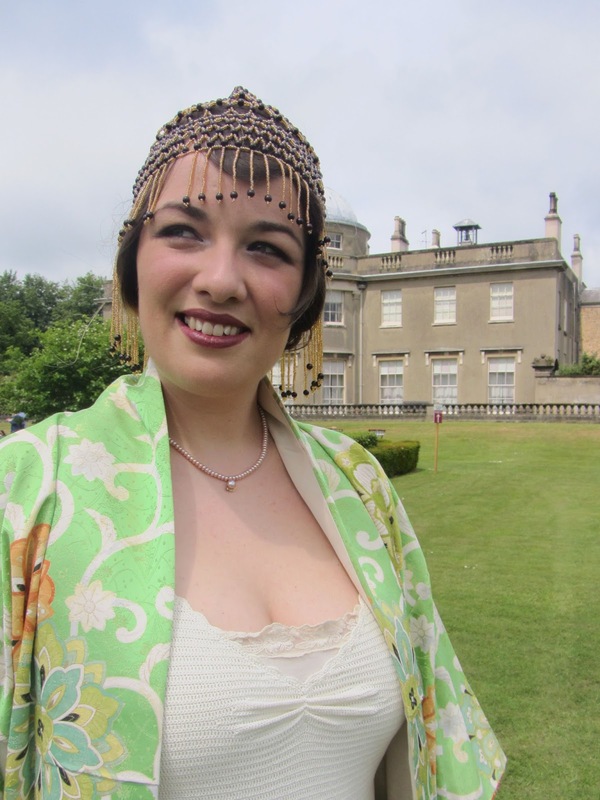 Last week though, I had taken my summer wardrobe out of storage, and decided that a vintage festival in the manicured gardens of a stately home would be the perfect opportunity for me to flirt with 1920s style. I selected a gorgeous Ralph Lauren 1920s reproduction dress, and dug a beaded head-dress out of my hat box. Alas, when we got up on Sunday morning to go to Scampston, the nice weather had broken and we were facing something that looked decidedly like we might get wet before the day was out. 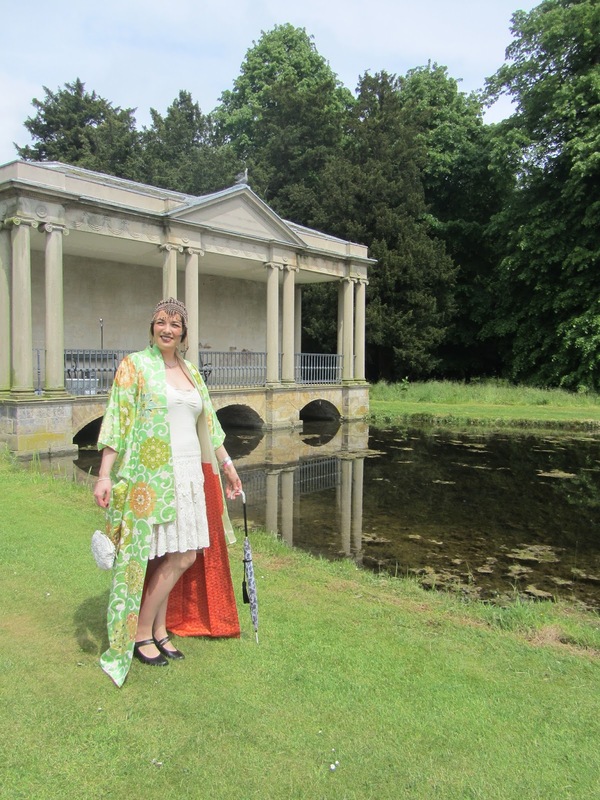 I was determined though that I would still wear my pre-selected 1920s ensemble, so I just threw my trusty vintage faux fur over the top of it, grabbed a vintage parasol and got ready to brave British summertime. We were quite early arriving at the festival, and it was a bit confusing as there didn’t seem to be any signage directing us in. 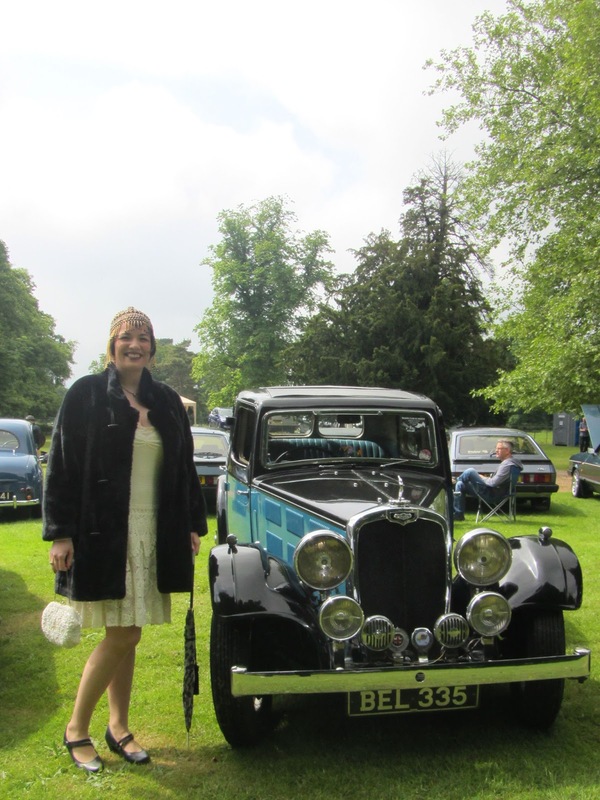 Eventually we found the entrance though, and perused some of the beautiful classic cars which were on show. I love the passion that classic car owners show in looking after these beauties. If I ever win the lottery (might help if I ever started doing it) I would definitely spend out on a classic car, anyway, back to the main event. Once inside the grounds I was surprised at how few people were in vintage dress, I guess I’d expected something of a vintage garden party, but it was more of a general family event with some people dressed in vintage. As the sun started to come out, I started to regret my faux fur jacket. While I perused the vintage tent, which had a nice selection of vendors, the Mr. kindly took our coats back out to the car. He returned some 10 minutes later to find me clutching a vintage Japanese kimono as if my life depended on it. 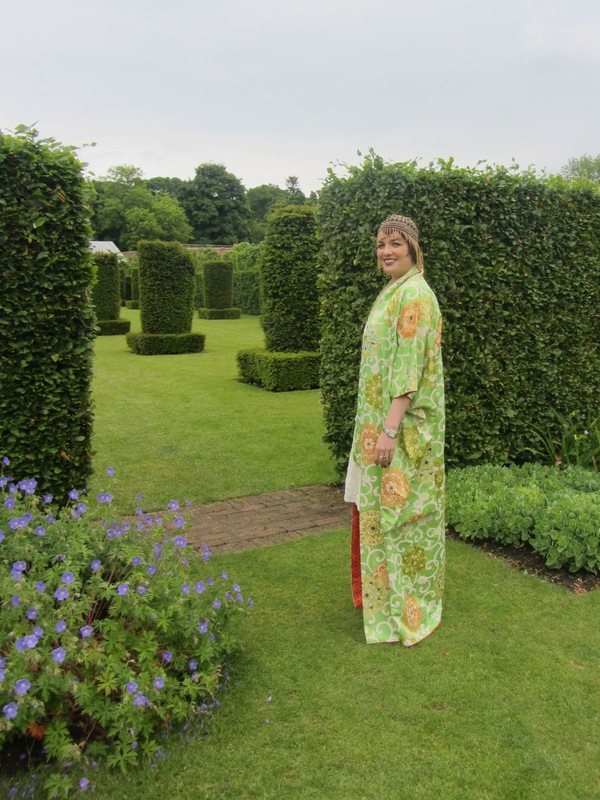 I had found a vintage dealer with a whole rail of them that she had imported, and having spent much of the evening before coveting 1920s kimono coats on Pinterest, there was no way I could move away without one. The Mr. offered to buy it for me, to put away for my birthday in October. I snapped his hand off, and he even allowed me to wear it for the rest of the day because it complimented my 1920s look so well. Having had tea and cake in the tea tent, we set off to find the food outlets for some lunch. There weren’t a great many of them, and given it was lunchtime they were certainly the most popular show in town. We queued for what seemed like an age to get 2 grilled Halloumi buns, the sun was out and it was blazing hot… it was a minor moan I guess, I just think a few more vendors would have been great. There was also an amazing bus bar, but we didn’t get a chance to visit that like we had hoped to. 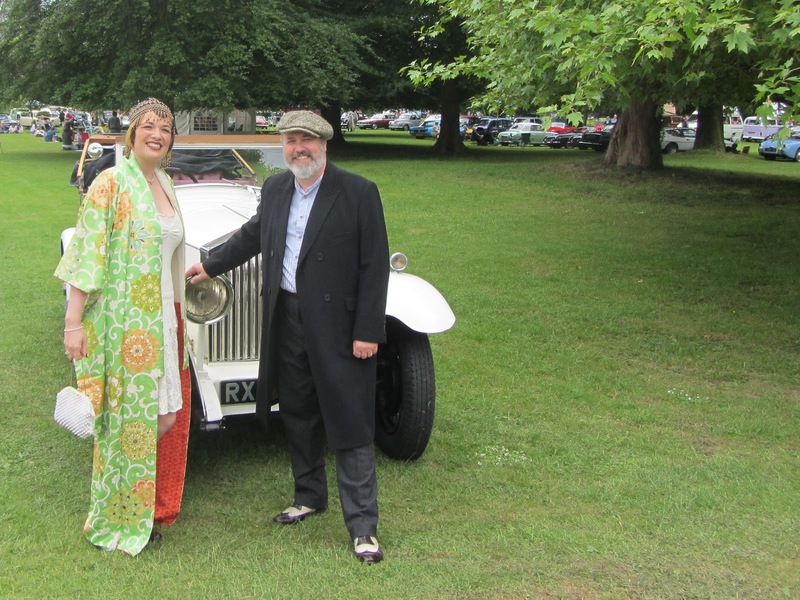 On our way back into the grounds, we were invited to enter the best dressed couple competition, but unfortunately didn’t win. 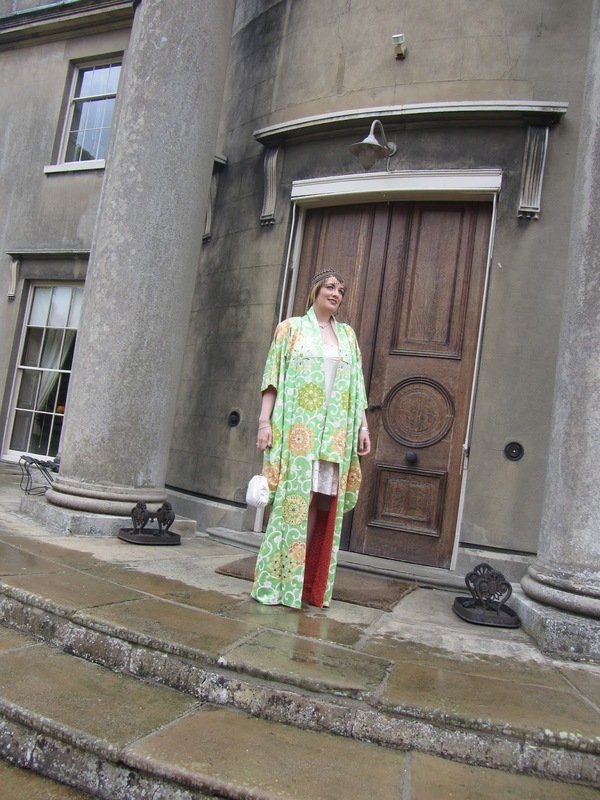 It didn’t matter, I was wearing a 1920s beaded head-dress and a bright green silk vintage Kimono, for me, it doesn’t get any better than that! 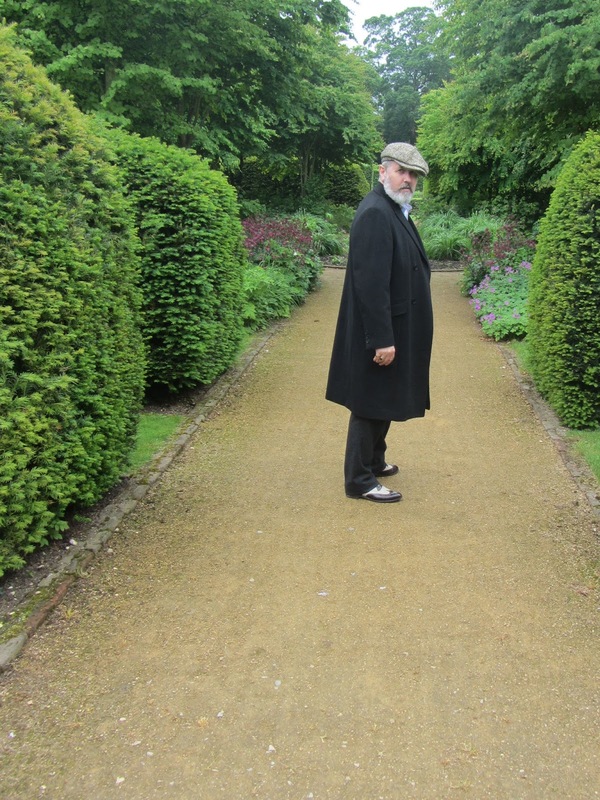 We finished off the day by admiring the cars again, and taking a walk around the walled garden. There was a lot to commend the Britain Does Vintage even at Scampston; the venue was fantastic, I liked the vintage tent and the cocktail tent by the lake was lovely. 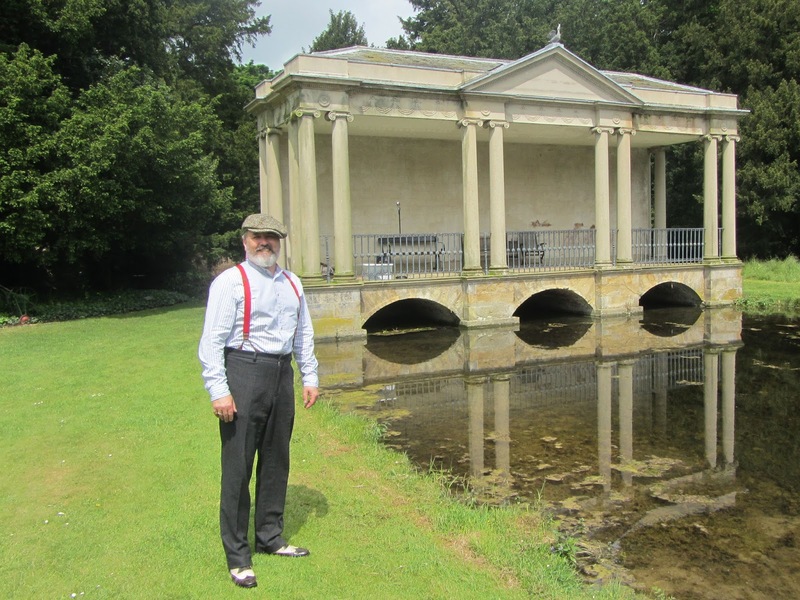 I think having the entertainment more central and prominent, with more seating to enjoy it whilst you picnic would have been great, maybe some vintage hairstylists and makeup artists, a vintage catwalk show as would promoting it to attract a bigger vintage crowd. 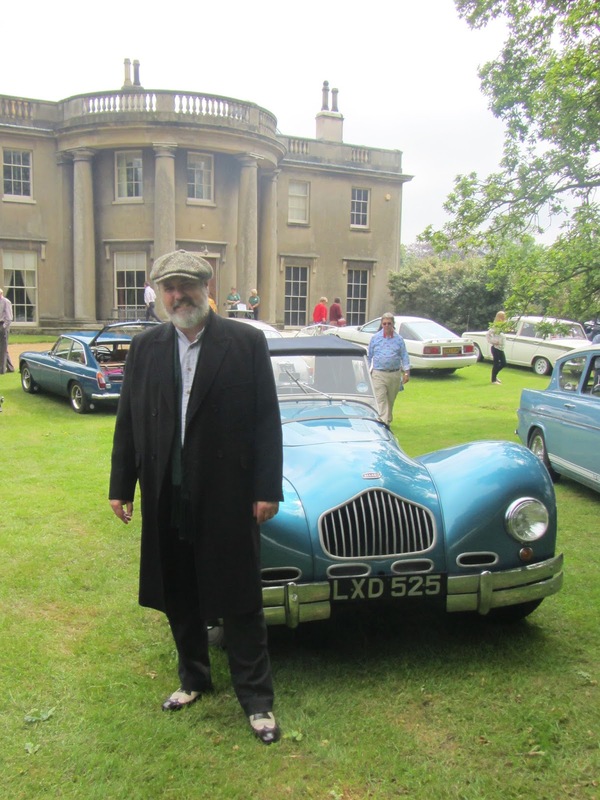 Unlike the South of the country, there aren’t a great deal of these big ticket type vintage events in North Yorkshire. 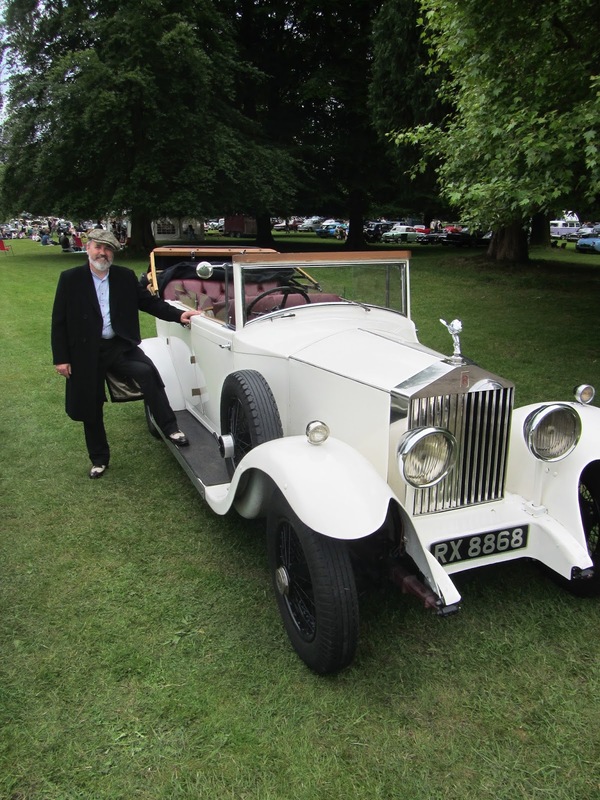 There’s the one at York Racecourse, and a myriad of 1940s weekends across the various towns and villages of the dales and moors, but aside from that we don’t have the Goodwoods, Tweed Runs, the Hemsby weekenders and events of that ilk. 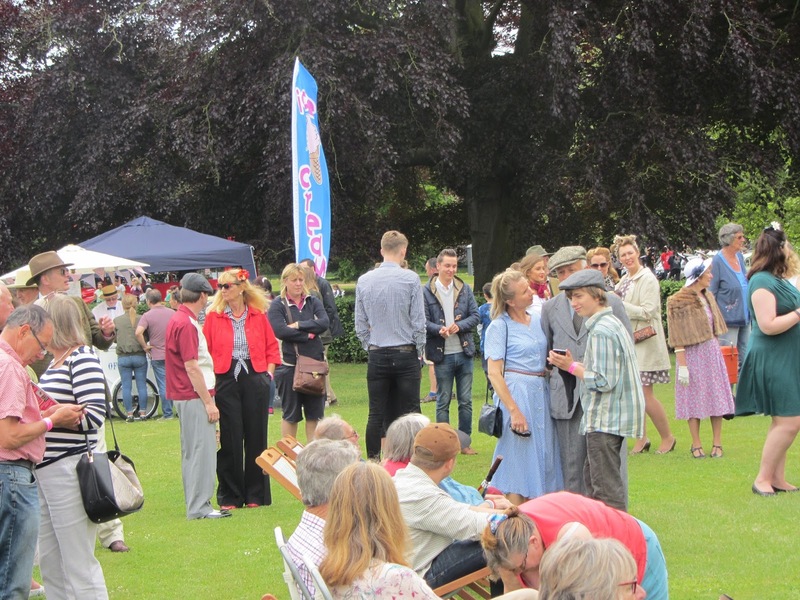 With this event, now in its fourth year, I think that Britain Does Vintage has the opportunity to make it into a real contender on the annual vintage calendar, and whilst it was a lovely day out for us, it just needs a little bit more development and a little bit more attention to make it into the fabulous vintage day out it could be. 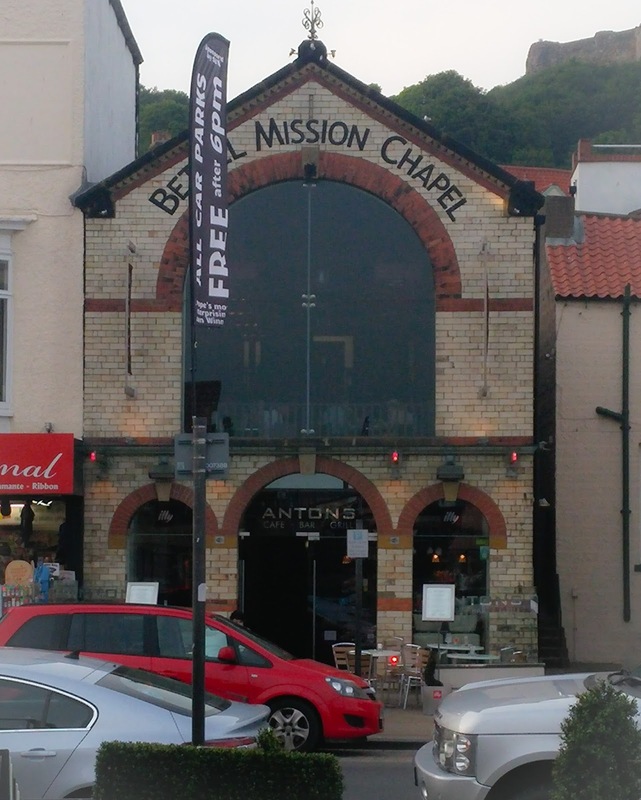 Anton's is a beautiful little venue, located in a former chapel which sits right opposite the harbour in Scarborough. I have on many occasions sat in their outside seating area sipping a coffee or a glass of wine and promising myself to one day eat there. Earlier this week we had an occasion which warranted a nice meal out, and so booked a table. 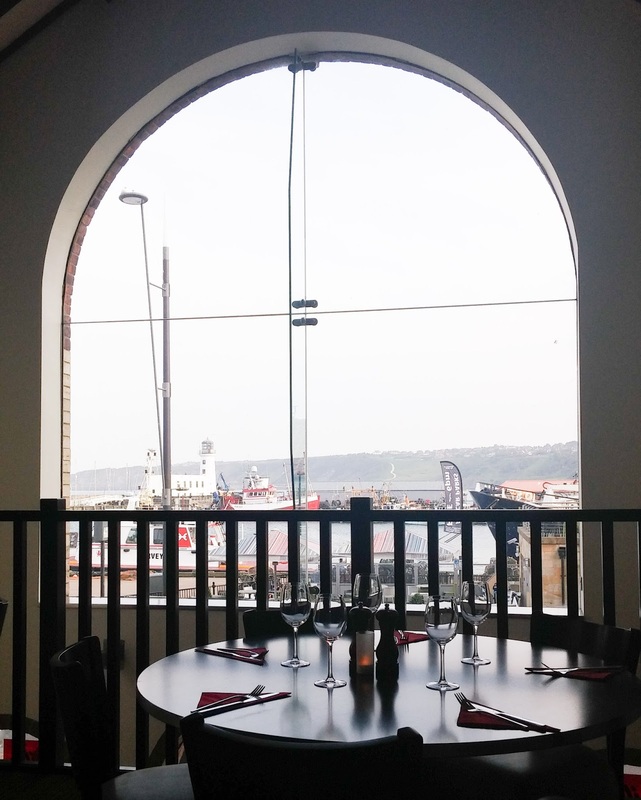 The inside of the restaurant is very welcoming, and we were seated in the lovely mezzanine dining area where we could enjoy fabulous views of the harbour through the large picture window. Despite it being Tuesday and not quite high season yet, the restaurant soon filled up, which is great, I love the buzz of a busy restaurant. The fact that some diners were obviously 'regulars' suggested a good reputation. 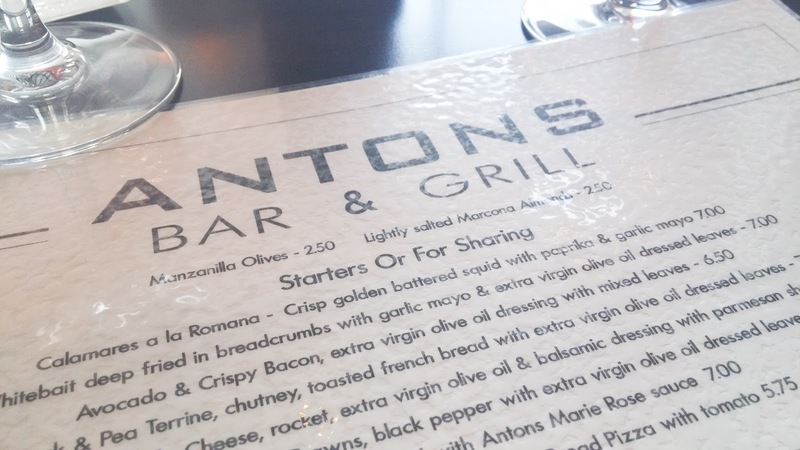 Some menu options were a little pricey, but I know that Anton's uses locally sourced meat from a very good quality supplier, this always comes at a premium. I, however, had been looking forward to pizza for days and so ordered the Pica Pica with a side of chunky chips. I really didn't need the chips, the pizza was huge. 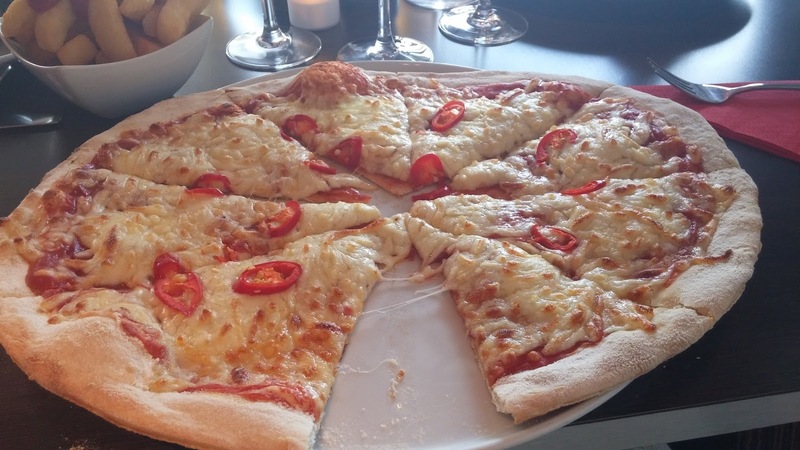 It was a delicious thin based pizza with generous topping, and I loved it. The Mr. had a burger with chips. When it first arrived it was slightly too rare for his liking, but the waitress took it away with no fuss whatsoever and brought back a perfect burger. The service was great, our waitress constantly checked that we had all we needed, and was really keen to make sure the Mr's burger was ok once it had been redone. The dessert menu looked beautiful, alas we were too full to even consider it, so we finished off with coffee. I really enjoyed our night out at Anton's. The service was good, the food was delicious and the venue and location, perfect. Would I dine there again? Definitely. 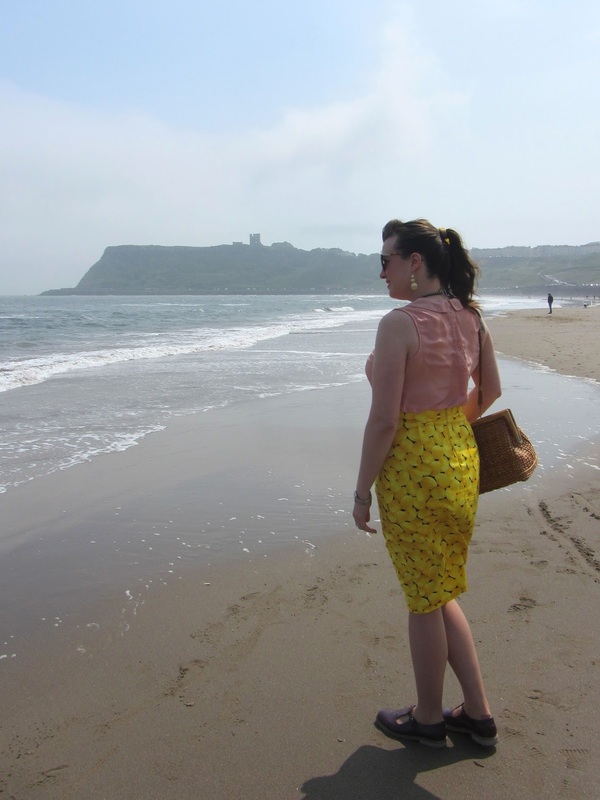 A while back I saw this beautiful pencil skirt, by Dolce & Gabbana and fell in love. The vintage styling, the lemons, then I saw the £725 price tag, and I wasn't so in love any more. I'm kinda fickle like that! 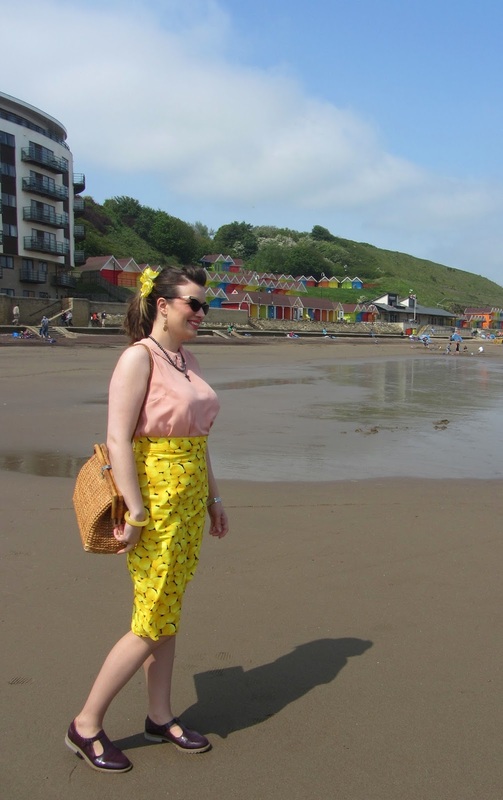 I had, however, been on the look out for some inspiration for making another pencil skirt like this Cherry Print pencil skirt that I made back in April. 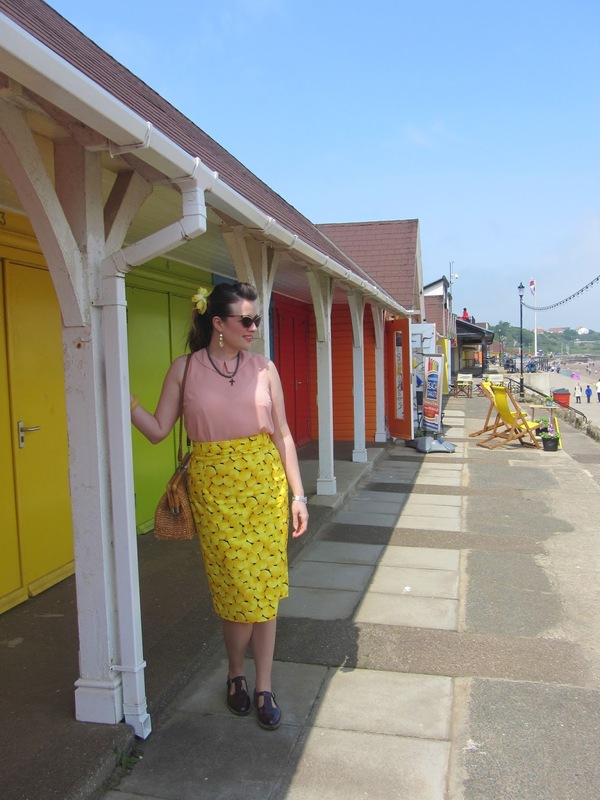 I'm noticing a theme here, this skirt in fruit prints seems to be my thing at the moment. Anyway, I managed to track down some nice cotton with a nice lemon print at my local fabric shop (can I just say, my local sewing shop, and my local knitting shop are so helpful, I contacted the sewing shop on Facebook and they happily put the fabric away for me that day, which was good because it was the last of the bolt). I dug out my trusty Eliza M Alma Wriggle Skirt sewing pattern of which this is now my third one, and set to on making the skirt. I decided to do things a little differently this time. The pattern doesn't call for lining, but I always do line my skirts. I decided not to this time, I didn't need to with this material and, actually, I think it hangs nicer with just a petticoat underneath. I also opted to take a little more time on this one and do French Seams, and finish off the inside of the waistband with bias binding. It's a lovely finish, and I think I'll try to take that care and attention with everything that I sew from here on in. I tend to be a bit of a corner cutter where I can be with dressmaking, but the extra effort was worth it for knowing that my finish was pretty close to perfect. There's not a lot to say about it really, I've made this skirt many times now and I know what I'm doing, the fit is perfect and it's another one that I'm really very pleased with. Imagine my joy on Saturday when the sun come out and I was able to wear it out for brunch with the Mr. 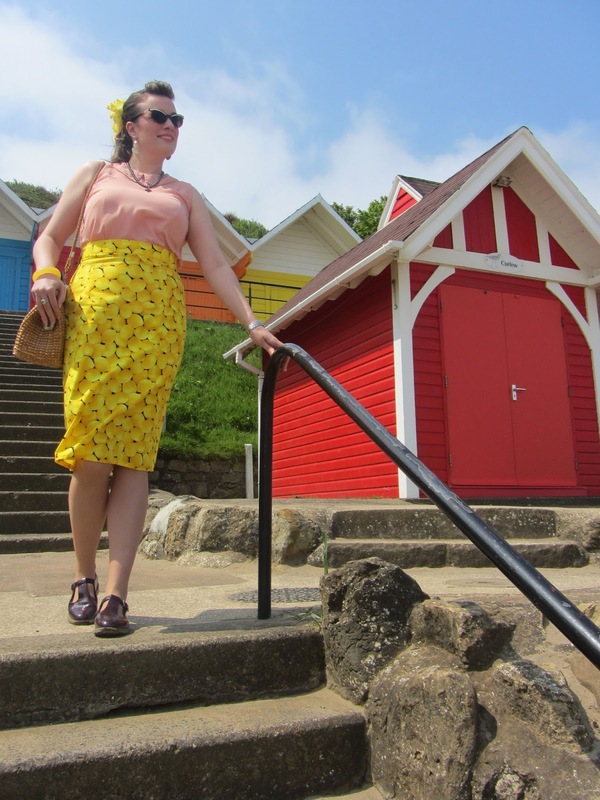 It looked so bright in the sunlight and accessorised with a bright yellow hair flower and vintage yellow bangle and was perfect for an after brunch walk on the beach. I'm not sure what I'll make this skirt up in next, but I've probably got enough fruity versions of it in my wardrobe right now.